Don’t know what carrier oil to buy? Then you’re reading the right article as we offer a guideline on how to choose the best carrier oil. To narrow down your choices, we review five of the most popular carrier oils on the market today. Buying the right carrier oil for your needs may be hard especially if you’re faced with a lot of options. You need to look the right features so you can get the best value for your money. To learn more about carrier oil, what features to look for, and product reviews, keep reading below. Carrier oils are actually vegetable oils used to combine with essential oils to make them safer for topical use. You can use carrier oil as aromatherapy, massage oil, and skin moisturizer. For best results, carrier oil should be massaged into the skin for at least half an hour or until the oil is completely penetrated by the skin. To learn how to combine carrier oils with essential oils, watch this video here. Carrier oils shouldn’t be confused with essential oils because the former don’t evaporate like the latter can do. While carrier oils can go rancid, essential oils can oxidize and lose their beneficial properties. Some carrier oils have no scent, but most of them have a gently sweet aroma. If you want a carrier oils to stay in their most natural state, look for carrier oils that have undergone the cold pressed process. Cold pressed means that the oil has been pressed from the fatty parts of the botanical without being subjected to heat. As a result, the cold pressed carrier oil retains its beneficial properties better than its heat pressed counterparts. To get the best benefits, look for a carrier oil that is organic, unrefined, and 100% pure. It should not contain any additives that might hamper its effects or worse create a negative reaction to your essential oil. Unrefined oils retain their rich color, nutrients, and scents more effectively. To be precise in the amount of carrier oil to be diluted with an essential oil, it is best that your carrier oil includes a glass dropper or a pump. With a dropper or pump, you’ll be able to transfer the carrier oil easily without any drop of waste. It is advisable that you don’t use the dropper or pump as a lid because the rubber material is very pliable and may break down when in contact with the carrier oil. To get the best value for your money, look for a carrier oil that has a high volume in a bottle. The carrier oils reviewed below range from 60 ml to 473 ml. So if you’re on the crossroads between two brands having the same price and features, choose the brand with the higher volume. The versatility of a carrier oil can be determined by the number of its uses. It should not only be used as a topical application but also for healthy cooking. Other carrier oils can even be blended with lotions to make a nice massage. Likewise, the benefits should not be limited to aromatherapy, but should also offer benefits to good skin and hair. Carrier oils can contain vitamins, minerals, and essential fatty acids. The vitamin E contained by carrier oils can be helpful in extending their shelf life. Vitamins A, E, and K are perfect in fighting free radicals for better immunity. Meanwhile, the monounsaturated fatty acids can be good for the hair. The Grapeseed Oil by Sky Organics is 100% pure and natural so you can be ensured of no additives. This carrier oil is cold pressed so you can expect them to retain several of their nutrients, such as vitamins A, E, and K.
This 235 ml carrier oil is loaded with monounsaturated fatty acids and phytosterols for good hair. You can blend this with other essential oil and lotions to create a nice massage. Interestingly, this grapeseed oil can even be used as a cooking oil for healthy cooking. 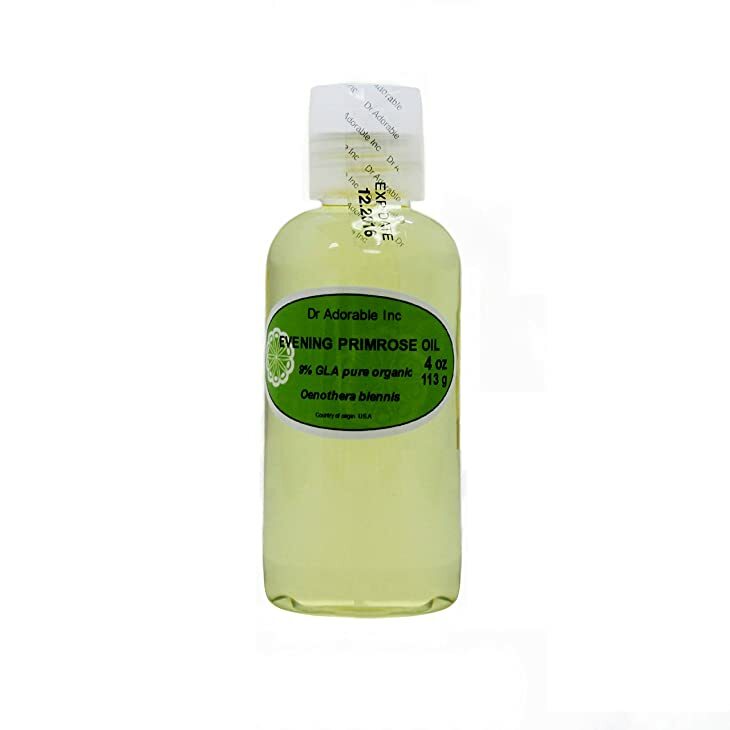 The Evening Primrose Oil is organic, pure, and cold pressed. At 4 ounces or 118 ml, you can use it for soaps, lotions, and creams. This can make a great massage for the body and great cosmetics for the skin. If applied to the face, it can moisturize and remove wrinkles. Due to its mild scent, you can mix it well with other essential oil without overpowering. You can also use it for health, food, and health purposes as it contains essential unsaturated fatty acids, like Gamma Linoleic Acid (GLA). 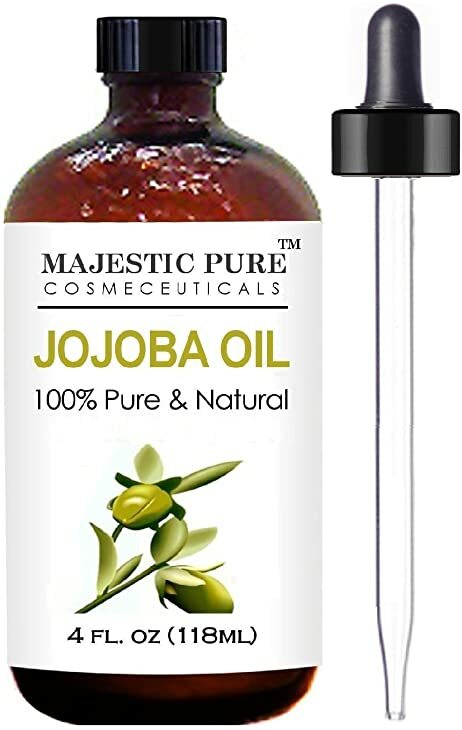 The Majestic Pure Jojoba Oil is packaged in an 118 ml dark bottle and comes with a glass dropper for convenient dilution. It is 100% natural and pure so you can expect nothing but high quality and freshness. Among its many uses include skin moisturizer, eye makeup remover, and lip balm. Before use, make an allergic test by rubbing a small amount on your elbow. If you don’t see any reactions, then go ahead and try it, but if you’re pregnant, make sure to consult first with your doctor. 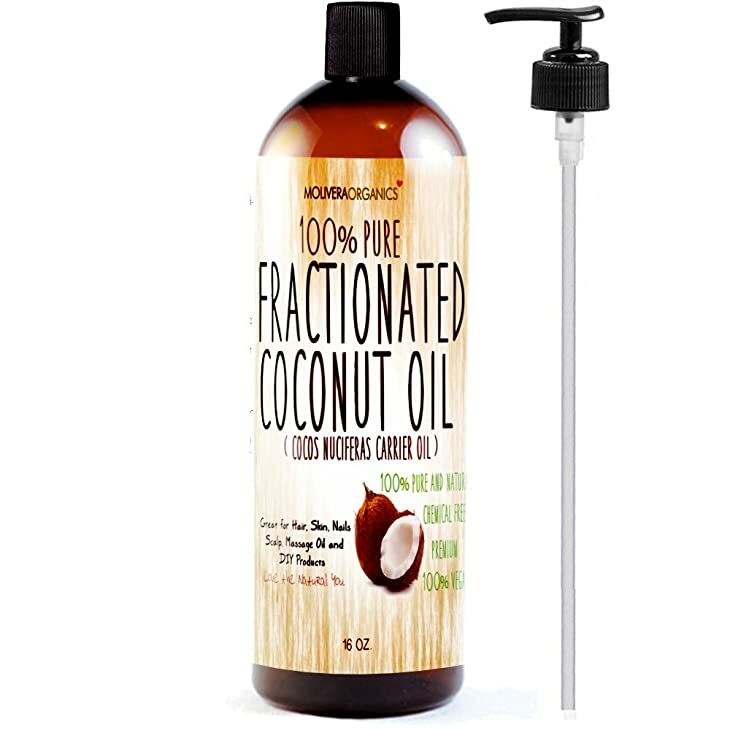 The Molivera Organics Fractionated Coconut Oil is made from the highest class of coconut oil. It’s 100% pure and free from any preservatives, chemicals, and fragrance. Among its best benefits include anti-aging, moisturizing, and hair conditioning. Unlike other coconut oil products, Molivera Organics promises to stay liquid and won’t go rancid. You can use this as aromatherapy or as a moisturizing addition to your cosmetics and soaps. Every 16 ounces or 473 ml of Molivera Organics contains several nutrients like vitamin E, Capric acid, and Caprylic acid. 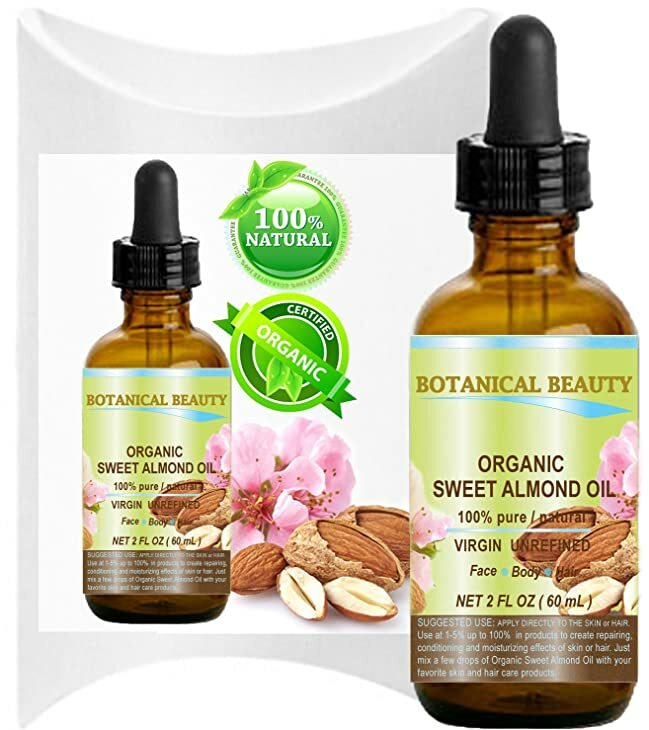 The Organic Sweet Almond Oil is 100% pure and unrefined cold pressed carrier oil. It comes with two 60-ml bottles and a multitude of benefits. Such benefits include treatment of skin diseases, healthier hair, and firmer skin. The carrier oil is also perfect for aromatherapy and massage. The lid of the bottle serves two purposes as a cover and a glass dropper for convenient use. To extend its shelf life, keep the bottles in a dark, cool place away from direct sunlight. 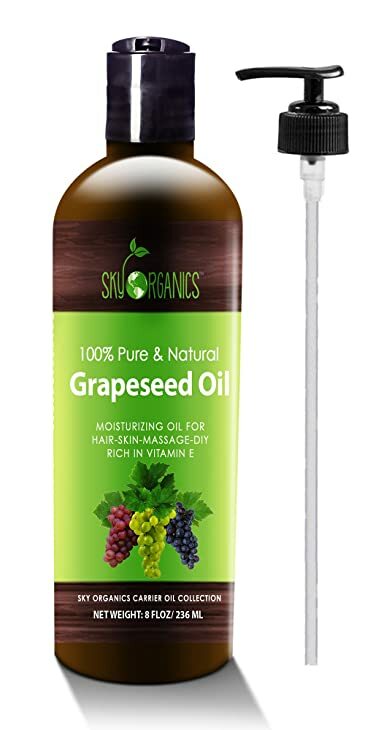 Based on the ratings above, the Sky Organics Grapeseed Oil is the best carrier oil because it meets most of the features that we’re looking for. It has multiple uses and benefits which you can even use as a cooking oil. It is cold pressed, natural, and 100% pure. Although this may be smaller than Molivera Organics Fractionated Coconut Oil, Sky Organics is doesn’t cause breakouts. Have you tried buying a carrier oil? Let us know your experiences and thoughts in the comments section below. If you like this article, don’t forget to share it by any means. Should You Choose an Ultrasonic Humidifier?